Eva Herr is one of the most respected popular talk show hostesses on internet. She is author of Agape, The Intent of the Soul and her latest best selling book, CONSCIOUSNESS – Bridging the Gap Between Conventional Science and the New Science of Quantum Mechanics. Eva is an Inspire Me Today Luminary, a qualified trial expert, mentor for early detection and prevention of disease through holistic means, medical intuitive, past board member of The Alliance of Addiction Solutions, radio hostess and magazine columnist. Eva's interviews the most brilliant minds of our times. She does her homework and it shows. Her interviews present some of the most astonishing and thought provoking material you will ever read providing hope for your life, and the future of your children, our planet and the generations to come! In 1992, a series of events began that would alter her perception of life forever. Her son was kidnapped by her own Mother, she lost her job, became pregnant, and her father died unexpectedly. Life seemed to come crashing down on her, and the weight of these events shoved her into a 'dark night of the soul' that brought her to a wholly new place. As Eva explains, "Unfortunately, it takes something like that most of the time in order for one to understand that the real mission of life is simply submission to God, the Oneness, I AM. You can feel it within you, your frequency begins to raise and you begin to 'hear.'" That experience brought about a shift in consciousness that forever changed her life. Eva discovered new gifts of perception that were completely unknown to her in her former existence. Knowledge of people and energy and healing was pouring in, seemingly implanted in her psyche, and she began helping others with her gift of medical intuition. Her thirst for more knowledge and understanding of what brings about this shift, and how the universe works was seemingly unquenchable. Eva has written in great detail about the events of her life that created her shift in consciousness and opening of her intuitive ability in her book, "Agape, The Intent of The Soul", published in 2005. 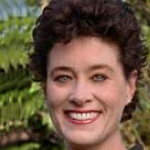 Eva became a popular talk show hostess on BBS Radio, which gave her the opportunity to engage the minds of today's top thinkers in the fields of science and consciousness and our human experience and brought her latest best selling book CONSCIOUSNESS Bridging the Gap Between Conventional Science and the New Science of Quantum Mechanics. A list of her past interviews reads like a 'who's who' list of luminaries. Eva conducts both her interviews and herself with a raw honesty, devoid of the pitfalls of egotism, that is seldom seen today. In addition to her internet BBS Radio program, "The Infinite Consciousness," Eva is a Certified Alternative Holistic Counselor; as such, she works with clients using her encyclopedic knowledge of alternative health remedies, as well as helping them understand how our minds work–enabling them to heal themselves of illnesses they were unable to resolve through traditional medicine. Combining her knowledge of alternative medicine with her intuitive abilities, she has an impressive track record of success.